Home › Other › Best Way to Improve Your Club Grip – Grip Boost! Best Way to Improve Your Club Grip – Grip Boost! Grip matters! Every golf coach on earth will undoubtedly tell you that your hand position and grip are very key factors in a perfect golf swing. With each golfer having their own unique hand position due to however they feel comfortable, the constant is the grip on the club. Re-gripping your clubs and new gloves can add up quick. We recently tested out a new product called Grip Boost. It is meant to be applied every so often to improve your grip instantly. It all started with another sport…Football. Howard Geller teamed up with former Raven’s tight end Matt Furstenburg to tackle a problem. The problem being that football gloves lost their tackiness pretty quickly. For tight ends and receivers, their sticky gloves can be a difference between a catch and an in-completion. Case in point: Odell Beckham’s three fingered catch. These two got together with leading Ph’Ds at Maryland Universities Chemical Engineering Department and came up with Grip Boost. Here is where we can Geek out! These awesome PhD’s had been working with a bio-polymer that came from crab shells. And that bio-polymer is Chitosan. They are able to use this Chitosan for surgical sprays and blood clotting bandages…but more importantly your golf grip! They modify this Chitosan even more to get this sticky film that you can spray on your grips and gloves. It is non-toxic and leaves no residue. Recently we hit the links with this stuff to really test it out. And in short, its sticky. You can definitely feel improved grip on your golf clubs. It is great that you can either spray it on your golf club grips, your golf gloves, or both. Personally I felt that my downswing right before hitting the ball was a bit more in control than normal. In terms of usability, once you use the spray, it can last 5-10 shots. 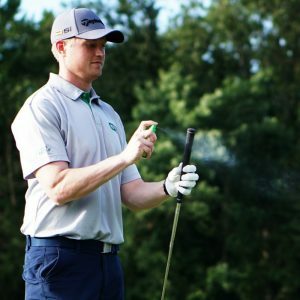 One spray on the club grips can probably last you most of the round. Would recommend spraying your gloves on every other tee. We didn’t notice a real difference on the green (when we finally got there) and that was to be expected. Tees and fairways is where this can really help improve your swing. It sprayed on clear and dried clear; there was no residue that was on our hands or glove due to Grip Boost. We tested on a rainy morning in the spring and it performed great. I want to test it again in the summer to see how it handles sweat and how it reacts to sweat coming from your hands on the grip. I’ll also add that this stuff really comes in handy after eating a greasy hamburger or hot dog and the condensation that gets on your hands after enjoying a cold, adult beverage. In the end, I would definitely recommend giving it a whirl. If you have old golf club grips or old gloves, Grip Boost can immediately improve then to like new conditions. More grip on your gloves and club translates to better feel and that leads to more power and more accuracy. One bottle can easy last for most of the year and can save you money on new gear in the long run. Try it on your next golf outing! Buy Grip Boost for $10.99! Free Shipping! 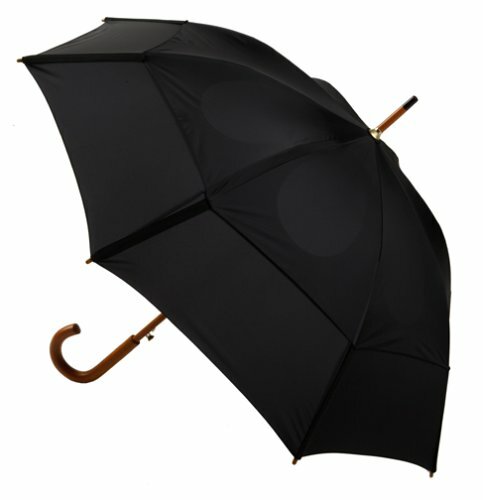 What is the Best Golf Umbrella? The 12 Best Golf Gifts for Golf Lovers The Best Golf Ball Retrievers What is the Best Divot Repair Tool? 1 Pings/Trackbacks for "Best Way to Improve Your Club Grip – Grip Boost!"